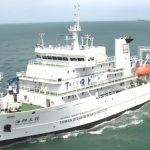 On October 10, the 73 meter long, 2,700 ton research vessel Ocean Researcher V ran aground and sank off Penghu Islands, Taiwan. 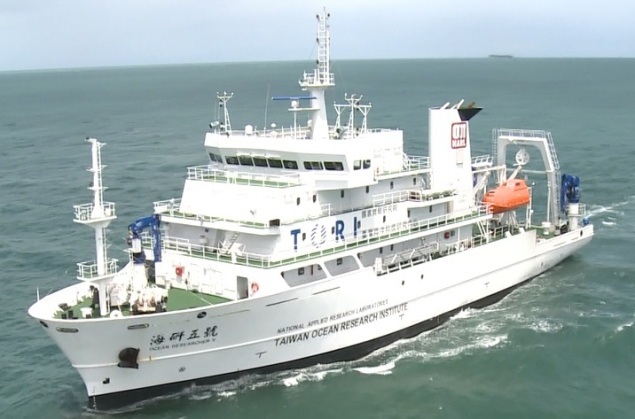 The Ocean Researcher V departed October 5 from Tainan City for an eight day research expedition with 27 researchers and 18 crew. 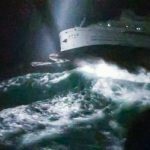 On October 10, the Ocean Researcher V was seeking shelter from Typhoon Vangfong when it ran aground onto a reef near Penghu Islands. 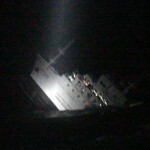 The vessel sustained hull damage with water ingress. 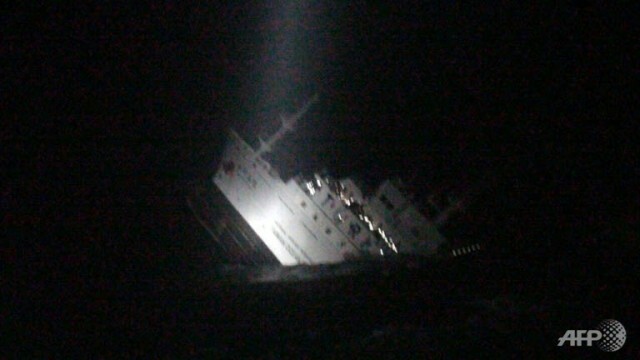 The vessel lost power and was sinking. The crew quickly sent out a distress call. Authorities dispatched two navy vessels and four patrol boats from the Coast Guard. A helicopter was dispatched and attempted to airlift the people off the research vessel, but large waves snapped the cable holding the cage. The 45 people on board put on life jackets and abandoned ship. Some were able to climb into rubber life rafts while others jumped into the sea. Rescuers pulled 43 survivors which 25 had suffered injuries. Two bodies were also recovered. Reports state the two who perished were researchers including the head researcher leading the expedition. 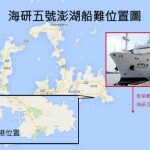 Reports state the ministry who owns the vessel will attempt to salvage the research vessel. The Ocean Researcher V cost $48 million (US) to build in 2013.